Hey /r/worldwhisky , it’s experiment time again! So I started off with a an experiment in my mini cask. All of this was completely experimental, I had no idea what I was doing, and I bought 3 different new makes to age. After asking around, I planned out my aging and went ahead. The first one was a Guadaloupe overproof rum. 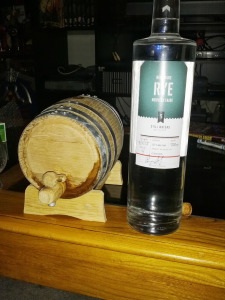 It turns into a nice dark rum, and I was happy with the results (the link is below). Up next, I went forward immediately after with Still Waters New Make Rye. Still Waters is a new distillery doing some very interesting, fun things up here in Ontario. They’ve launched the first ever single malt made completely in Ontario (reviews to come… eventually). They’ve also launched brandy, vodka, and corn whisky. While they wait for each of their different whiskies to fully mature, they’ve sold new makes.